"Beneath the Underdog": Jazzmaster Charles Mingus decrying racism | Jon Katz, P.C. In 1988 waiting for my Securities Law class to start, I learned that the woman sitting next to me was named Fara Faubus. I mentioned to her Charles Mingus’s masterful song “Fables of Faubus,” indicting Arkansas governor Orval Faubus’s promotion of segregation, including his failed 1957 effort to use National Guard troops to prevent integrating Central High School. As it turned out, Fara was Orval’s granddaughter, to which I responded that “he was not a very nice man.” She did not seem bothered by my comment, although I cannot be sure. In any even, in my few brief conversations with Fara — which never addressed any politics — she seemed likable, and certainly was not responsible for the devastating segregationist actions of her grandfather. Subsequently, I learned that her father, Farrell, was Orval’s only child, and had died twelve years earlier, in 1976, from a drug overdose. She had endured much, to say the least. Wikipedia — hardly a pillar of reliability — provides possibly the most in-depth online account of Orval, including his father’s being jailed at the start of World War I for his very active socialist politics, Orval’s own efforts to increase taxes to fund social programs, and Orval’s possible motivation by amorality — rather than by a strong personal interest — to promote segregation so that he could be re-elected. Of course, I have heard the saw time and time again about people doing racist things more to get by and get along than out of any personal racist agenda, from the late Supreme Court Justice Black’s membership in the Ku Klux Klan to be able to practice law profitably in Alabama, to hotels keeping out African-Americans and Jews lest they lose bigoted customers, to the pharmacy owner near my law school who admitted he prohibited African-Americans from his lunch counter through the Fifties (and Sixties?) lest the workers across the street eat their sandwiches elsewhere. Such realpolitiking is shameful. 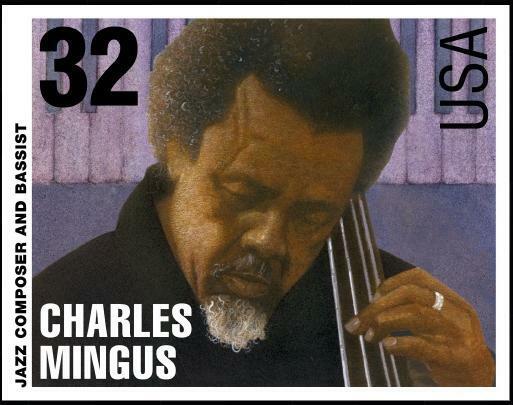 The victim of so much rampant racism, jazz great Charles Mingus brought the struggle against it to the forefront through various activities, including his music, his autobiography Beneath the Underdog, and sometimes talking about it head-on to his live music audiences in mid-performance. (See this fascinating piece on jazz and racism, including Dizzy Gillespie’s eventual acknowledgment that he misperceived that Louis Armstrong had kowtowed to racism, as opposed to paving the road against segregation). “Fables of Faubus” is a powerful and haunting tune both in its composition and performance. When it was originally released in 1959, Mingus’s Columbia Records label refused to have the song include its controversial lyrics. Fortunately, Mingus got that reversed just a year later. Racism remains all too alive and well in the United States and the rest of the world. It was even more alive and well when I was born in 1963. I have been obsessed against racism for decades. It took many years for me to learn not only that it is more effective to react firmly yet in control when someone makes a racist comment in front of me (rather than blowing up at them, which I have done many times), and even more years to learn how to put that into practice. Since a few weeks ago, my cellphone ringer plays Mingus playing “Fables of Faubus,” reminding me not just of great jazz, but of the never-ending struggle against racism and for justice. Jon Katz.